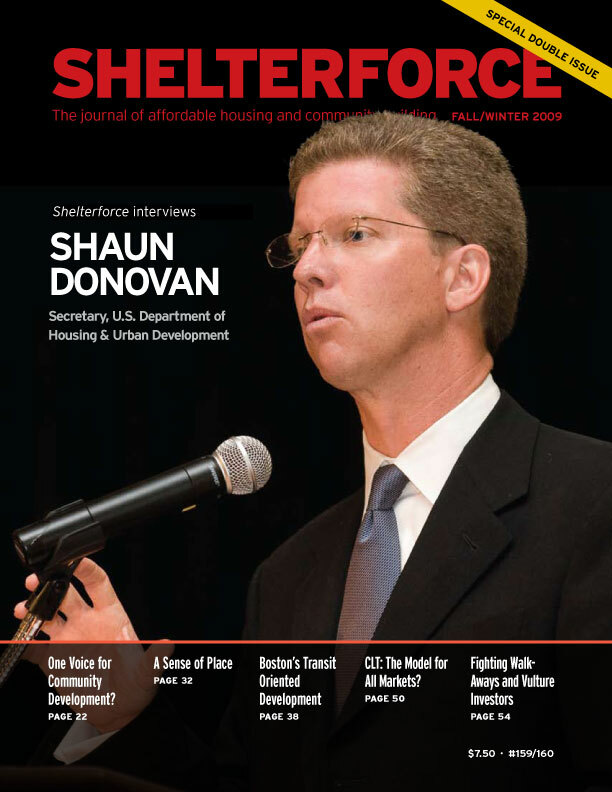 Interview with HUD Secretary Shaun Donovan and profiles of the team that put HUD back on the map again. Plus a Unified Voice for the Nonprofit Housing Development Field; Sense of Place: the Bronx, DC’s Columbia Heights, and NJ’s Orange look at the past, while looking forward; Making Collaborations Work; Community Land Trusts: A Model for All Markets? ; Tackling Bank Walkaways and Vulture Investors; Right to Rent; Faith-Based Organizing; Youth in Organizing.